Yoga is many things to many people, from a spiritual practise to a physical exercise. Yoga allows the mind, body and soul to work together to create stillness and mindfulness allowing the participant to feel grounded and peaceful. Yoga has a holistic orientation that helps you attain tranquillity over mind and body by means of yoga poses, breathing exercises and meditation. With regular practise, you can experience a healthier and happier lifestyle, reduced anxiety, control over your thoughts and relief from chronic illnesses. Yoga is proven by modern science to restore vital energy to your body, mind and soul. It optimises your cortisol and adrenal functioning. 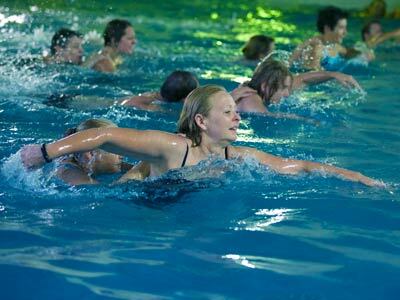 Being an aerobic conditioning exercise, it boosts your heart rate, flushes out free radicals and detoxes your body by bringing fresh oxygen at the cellular level. With every Yoga session in our Yoga Studio in Brisbane at Active Life Fitness Everton Hills, you will experience an improvement in flexibility, body posture, balance and coordination. It also helps correct serious hypertension, blood pressure, stress and diabetes. Backbends, forward bends, twists and other poses, known as Asana also train your spine, cartilage, joints and muscles to correct orthopaedic issues. Yoga encourages fat burning, motivation and spiritual dimensions. With regular yoga, you look brighter, strengthen abdominal muscles, build a healthy appetite and can improve conditions such as urinary tract and menstrual disorders, PCOS, arthritis and lumbar spondylitis. Yoga Brisbane classes vary depending on the particular style of yoga. At Active Life Fitness Everton Hills, our yoga classes are typically Vinyasa Flow and Hatha yoga. Students practise on yoga mats and use blocks, straps and blankets to assist in the practise. Yoga poses (Asana) are made simple to understand and learn at Active Life Fitness Everton Hills. Our Yoga Brisbane Classes start with harmonizing the body by chanting ‘Om’ to unite energy and calm your mind, this is optional for all participants. Yoga poses are then performed in rhythm with breathing techniques (Pranayama). Then, a series of progressive poses are demonstrated. Some of the poses you will encounter are Surya Namaskar (Sun Salutation), Noukasana (Boat Pose),Dhanurasana (Bow Pose), Tadasana (Mountain Pose), Bhujangasana (Cobra Pose) and dozens of others. The session end with a period of relaxation and meditation called Savasana. Each asana has a specific function to aid in toning, toxin removal, flexibility, mindfulness and strength. Yoga not only stretches and tones the body, but it also opens the psychic and energy channels within you. Our experienced yoga instructors will take you through a series of stretches, positions and routines that will help you regulate and control your breathing. 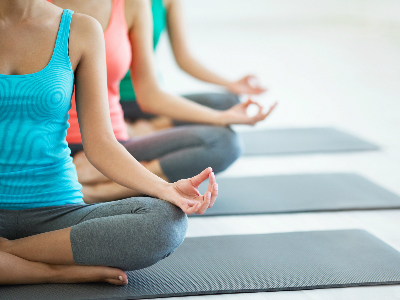 Along with effective yoga postures and breathing techniques, Yoga classes at active life Fitness puts great emphasis on harmonising and calming your mind, to regain focus and build self-confidence. You don’t have to be super flexible to practise yoga, and people of all ages and age groups can join these sessions. Practise is the key to yoga. If you want to improve your fitness, increase flexibility and clear your mind, then come try a Yoga class. Just put on some comfy clothes and come join us!